Pets > 5 of the cutest animal videos! 5 of the cutest animal videos! 1. The surprised tickly cat. 4. 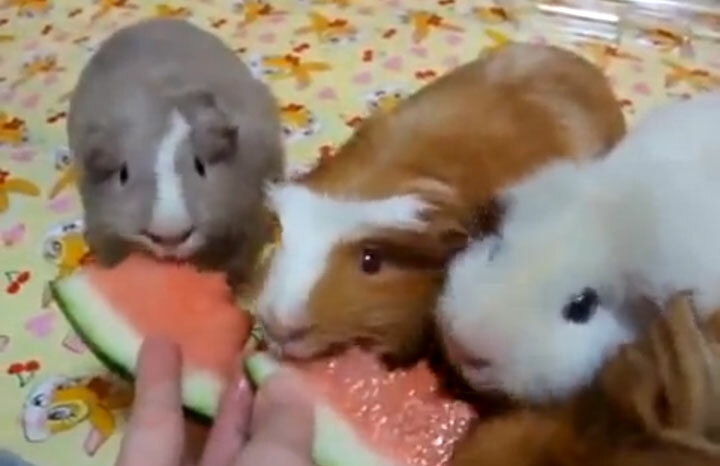 Guinea pigs eating watermelons...it's just cute! There's more cute animals in every issue of Yours magazine, out every fortnight on a Tuesday. Adorable puppies take the plunge!